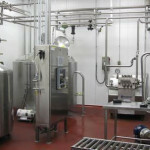 VT Ice Cream Mix Supplier | Soft Serve & Hard Ice Cream Mix | Creemee Mix | St. Albans Cooperative Creamery Inc. 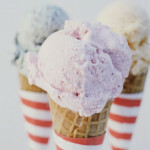 The St. Albans Cooperative Creamery offers both hard ice cream and soft serve mix. All our mixes are manufactured in a state of the art processing facility with fresh local dairy as the main ingredient; all of our mixes are Vat Pasteurized, a traditional style of pasteurizing where the mix is produced at a lower temperature to provide an old fashioned homemade ice cream taste! Our mixes are available in 5 gallon boxes or in totes. We are able to create a custom recipe just for your needs or you can try one from our already developed formulas. 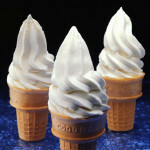 Our 4% Butter Fat Vanilla and Chocolate soft serve mix is made with Local Fresh Dairy ingredient.